Emailing is probably the single most used form of communication between you and your customer/client. It’s quick, easy and fairly efficient when dealing with different time zones. Or, at least, it should be quick, easy and efficient, right? When communicating via email, it’s important to be clear and to the point. You don’t want to drag it on longer than you need to when conducting business. Now, if you’re emailing a gal-pal about your amazing week in Bali – spill the beans! But, when communicating with a customer or client, keep it simple. Trust me, they’ll thank you. 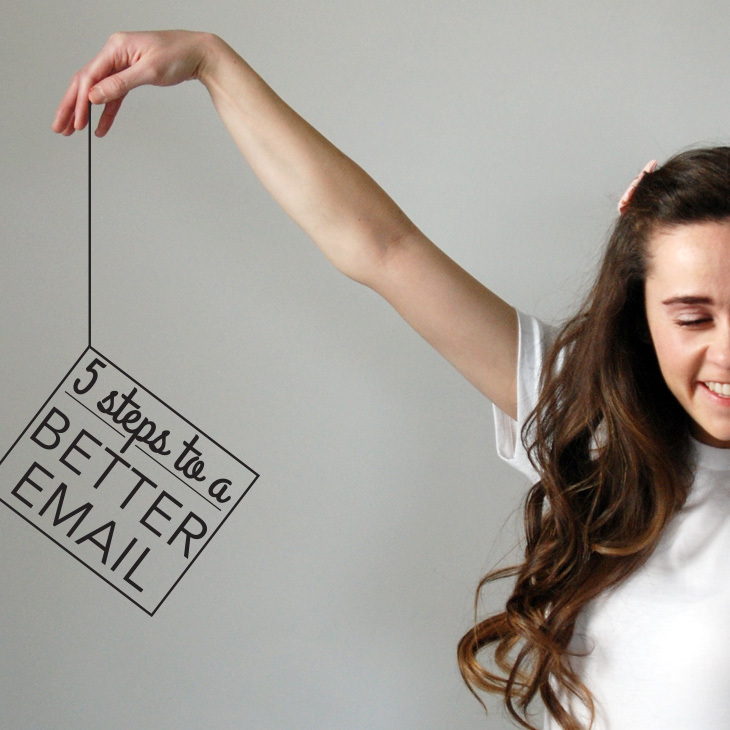 So, here are 5 steps to help you write a better email or two. Let the recipient know exactly what you’re writing them about. Don’t use “Hello” as your Subject Line, unless all you’re doing is saying “hello.” If you’re writing to tell them that you’re out of stock on an item, say something like, “Item Out of Stock.” Or, if you need clarification on the color of their custom dress order, say “Color Clarification.” This is one area where you don’t need to be too creative; just to the point. This also allows the recipient to gauge the importance of the content. You’d hate to have them skim over your email, because they thought it was junk. If it’s important or time-sensitive, let them know in the Subject Line. It’s always nice to address the individual’s name in the email. Start off with something like, “Good morning Michelle” or “Hello Sam!” Things like, “Hey,” “What’s up,” or “Yo!” can be vague and seen as “spammy.” Likewise, “To Whom it May Concern” tends to make the individual feel like just another number; it’s very impersonal. Take time to connect and personalize each message. Not all of us are world-class writers, but it’s nice to put some effort into it. You’re a professional, so it’s smart to use Spell Check and re-read your email for any “stand out” grammatical errors. Again, you don’t have to be prim, proper and perfect; just be your personal best. At minimum, if the spelling is all correct, that totally launches you to the next level. This also helps your customers and clients see you as a real business owner and take you more seriously.